Embark on a moderate 3-hour walk through in the Denali area with an informative naturalist guide and a small group limited to seven people. Explore both within and outside the wilderness of Denali National Park, moving slowly through the boreal forest of the Alaska Range. Choose a morning, afternoon or midnight sun walk. After pickup from local Denali hotels or the Princess Wilderness Lodge, you're driven a short distance to Denali National Park to start your 3-hour walking tour. 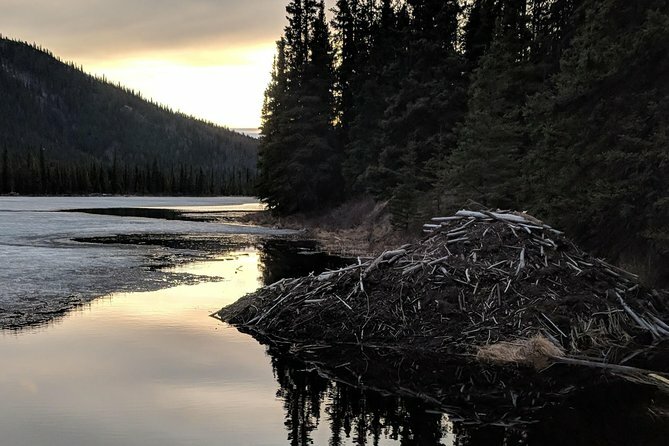 Walking with an experienced local naturalist is a great way to see the complicated connections of plants, animals, and people within the splendor of true wilderness in Alaska. The average pace is about one mile per hour with frequent stops, and though this tour is not meant to be a workout, it is three consecutive hours of walking on sometimes unimproved trails, so bring your sturdy hiking boots! You may hit trails both inside and outside the park, depending on where the best walking can be found. You'll make plenty of rest stops to drink water, take in the scenery, chat with your group and even pickup berries if they're in season. Your guide will explain the surrounding geology, botany, and history, helping travelers understand and connect with the natural landscape. Learn how the boreal forest in the lower elevations gives way to specialized sub arctic ecosystems like taiga and tundra. The permafrost areas and mountains are home to plants and animals highly adapted to the harsh elements. At the end of your hike, you'll be taken back to Denali. Trails are best described as moderate, with tree roots, hills, and mud in places. Bring your outdoor gear including sturdy walking shoes, water, jacket and rain gear. Some basic gear is available, including rain gear, overboots, trekking poles and water.